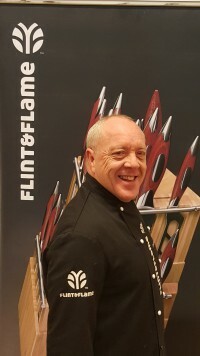 The founding partners of Flint and Flame are Steve Mould, former Hammer Stahl sales team member and regional distributor for the East Coast in the United Sates, and Peter Guimaerens a direct sales expert, entrepreneur and long time associate of Steve. 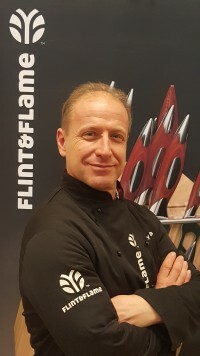 Steven Mould, a native of the United Kingdom, honed his skills in sales between 2008 and 2011 distributing cookware and Hammer Stahl knives for New Era – one of the largest and longest established independent direct sales organisations in America. From his offices in New York and Florida he distributed the New Era healthy cooking cookware and the newly developed Hammer Stahl Cutlery range. Steve consistently met and exceeded his own goals, he built a sales team network from across the country including among others; California, Pennsylvania, New York & Florida. 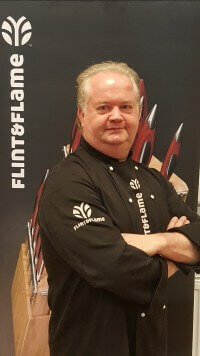 Steve received recognition from New Era and was involved with the Hammer Stahl Cutlery range from its very early beginning to the present day. 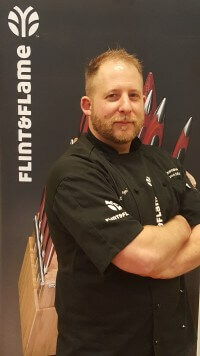 Simon joined Flint and Flame back in August 2012. A chef with amazing knife skills he was at that time working at 3 different restaurants. In true Victor Kiam style, having bought one of our beautiful knives and loving it so much he came to work for the company that made it. 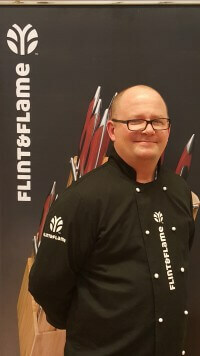 From these early beginnings Simon’s infectious laugh and completely likeable personality have made him a hit with customers at food festivals and equestrian events across the UK. 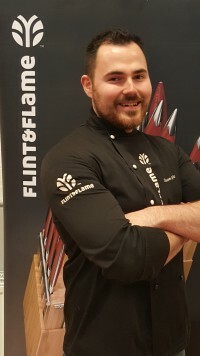 He is not only liked by our customers, but also the rest of the sales team who look up to him as the consummate professional and trainer of knife skills. This high regard in which he is held by the teams make him the perfect choice as Sales Team Manager. Simon trained as a chef before diverting to the city (via every wine bar on route). With a great eye for opportunity he met Co Founder Steven Mould at one of our events and quickly joined the team. He is now one of the longest standing members of the team and with his Victor Meldrew sense of humour he is loved by customers and colleagues alike. 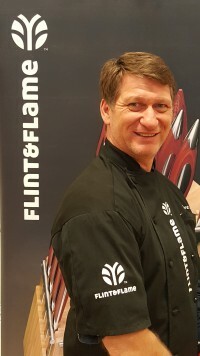 Simon worked in the steel industry and was based in Germany for many years, he was also Sales Manager for one of the biggest BBQ companies in the UK. Simon has a big love for food and an even bigger love for wine and is a legend in his own lunchtime when it comes to outdoor grilling. Simon was poached by our Sales Manager, Simon Marshall who has an eye for talented and inspiring people. Peter joined our team back in 2013, with a wealth of experience in sales he quickly established himself as an asset to our sales force. Peter is a real family guy and our customers love his genuine, warm character. 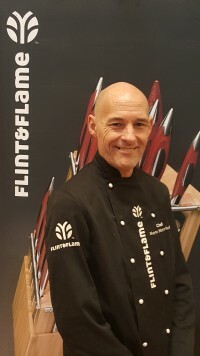 A chef with a wealth of experience, known for his superior knife skills and northern banter (though more so for his silly hats and crocodile shoes!!) Wayne was recruited at Crufts of all places by our sales manager Simon Marshall to run our northern operations and is an asset and valued member of the team. With our ever expanding business Luke was taken on to help streamline our back office and warehouse operations as this was his previous role with other companies. After a few months we realised this clearly was not his forte and sent him out into the field as a member of our sales force. In this area he has flourished and found his true vocation. Luke is loved by all for his sincere and warm approach to sales with a belly laugh that is matched by no other. An incredible chef with a vast knowledge of anything food related, Brian has become a great hit at Costco stores up and down the country. Whilst spearheading our campaigns in Costco he has become known for passing on valuable techniques and tips to our many happy customers. Gary is our longest standing team member. A natural entrepreneur with an attachment to all things ‘Cheltenham’. Fancy being a part of our amazing team? 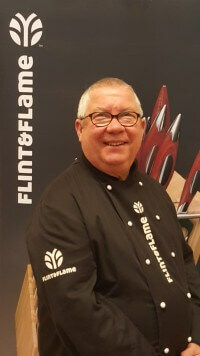 Click here to find out about a career with Flint & Flame.